so, i’ve got a mound of vacation days to use before the new year rolls around, so i recently took a week day off from work to let the computer and myself kick back and relax. i thoroughly enjoy taking time off during the week in my town because it gives me a chance to explore and do things that don’t fit into my weekend schedule. on the slate that day was a visit to my sister-in-law’s office, a hydra facial at phillip’s mom’s office, and then lunch with my man. despite the strong desire to sleep in, i got my morning started so as not to waste the day. 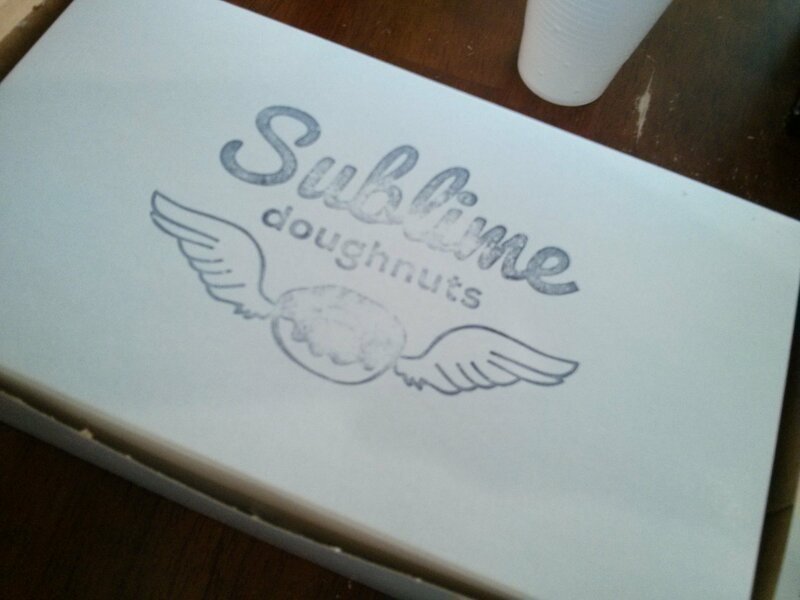 with a little time to kill before meeting up with kari, a brilliant idea hit me like a ton of bricks: get a quick bite at sublime doughnuts! my dad had seriously told me about this place years ago, and my first visit was long overdue. google maps directed me to 10th and hemphill, and after a few missed turns, i found a parking spot just for the kessie girl. i had no idea what to expect but was delightfully surprised as i entered. i think the word to describe it all would be happy. the upholstered chairs and cheery colors are quite welcoming, and the staff reflected the atmosphere. the ladies at the counter were helpful and pleasant and ready to answer my many questions. they gave me the quick run-down of the selection, especially those that would travel well (i was going to birmingham that night with phillip to visit my parents and planned to bring a few back for them). i picked out half a dozen with their help and showed myself to a table. in a spot across from me was an employee who i assumed had to be the manager. we chatted for a few minutes before he hopped up to help with the growing line of loyal (and maybe new) patrons. if i’d had a bit more time to spare, i surely would have talked off his ear. i don’t at all doubt he would have been fun to interview. next time! with a sweet tooth like mine, i knew something chocolate-y was in order, so i bit into one of the a-town creams. every bite of this doughnut was perfectly balanced, from the flavorful dough to the subtle chocolate to the rich and decadent cream filling. despite how i’m describing it, you should know that it isn’t at all too sweet. i easily could have had another, but i refrained. i didn’t want these strangers thinking i was a total junk food addict. 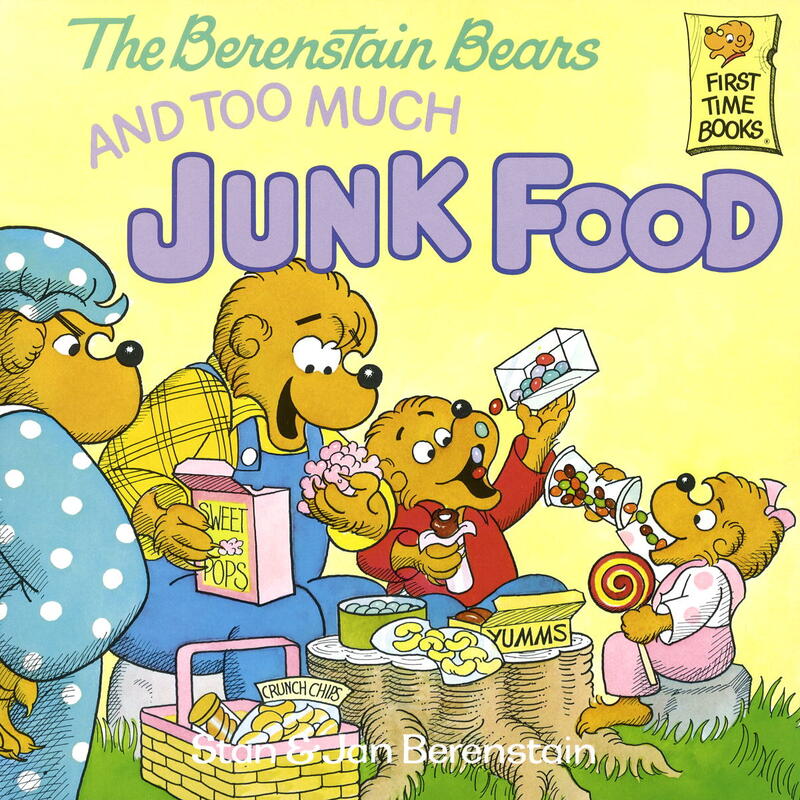 speaking of junk food, did you ever read the berenstain bears as a child? i vividly remember the one titled junk food, the words in big, bulbous purple letters on the yellow cover as papa bear, brother bear, and sister bear gorged themselves on candies and chips. oh, and we cannot forget mama bear, looking on in disdain and disgust. does it mean something that i so clearly recall this specific adventure of the bear family? probably so, but until those subconscious realizations surface, i’ll obliviously carry on in life. join me, won’t you? as i headed out, i thanked the manager kindly for the exceptional service and delectable treats. “you’ve made the start of my day a great one,” i said. the next day in birmingham we had the rest of the half dozen for breakfast. mm, nutritious! mom and dad loved the caramel apple fritter. 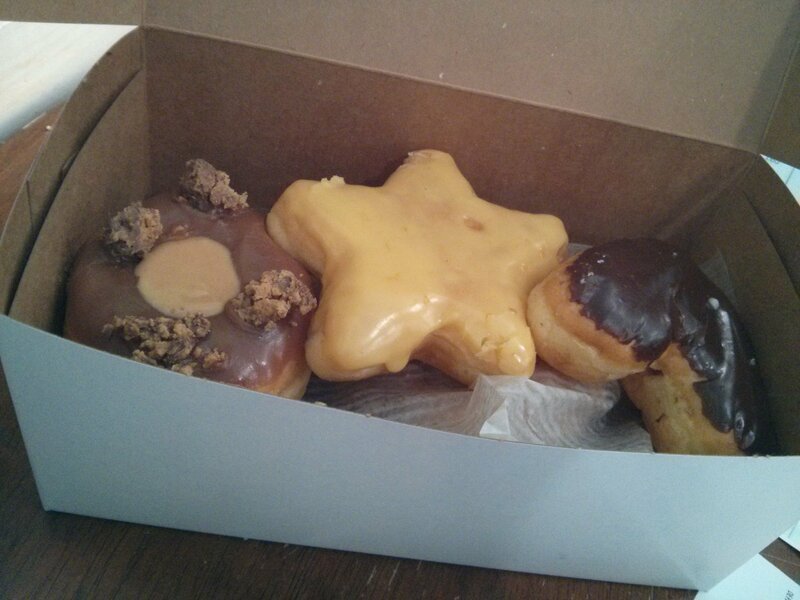 i had a nibble of the orange dream star that was utterly divine, and phillip practically was doing backflips after enjoying the reese’s peanut butter cup doughnut. Will box cake mix work as donut batter? perhaps? i actually have never made my own donuts – i just consume them! i did find these couple of links that might provide some direction. let me know if you try anything and good luck!